North Carolina's SUBSTANCE comes to Florida! Apologies for the lack of updates on the blog. It has been a hectic two months, as Exact Change has hit the road in January on the Sick Of Talk 2016 Winter Tour as well as in February on the Hit List/Crisis Unit East Coast Tour. Thanks for everyone who came and saw any of the bands and picked up an ECR release, more Hit List live tapes will be available in the store very soon. In April, Substance from NC will be coming down and playing through FL for a weekend. 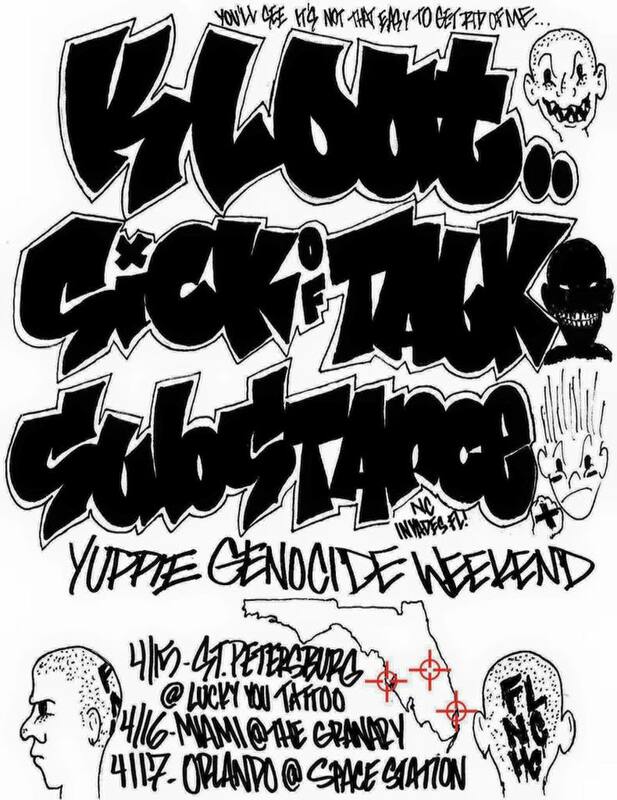 Check out the St. Pete show if you are in the area, or see the bottom flyer for information on the whole weekend. See you at the shows!